There are plastics in every ocean in the world. About half of plastics sink, and the other half float. You may have heard that there is an island of plastics, but the areas of highest concentrations of plastics are more like smogs than solid islands. This is because over 90% of marine plastics are under 5mm in size (microplastics), smaller than a grain of ice–an ideal size for a wide variety of marine life to ingest them, from plankton to whales. This plastic smog exists mainly on the surface of the water, but is also dispersed throughout the water column. Because of their small size and uneven distribution, marine plastics are difficult to track, quantify, and measure. The Monitoring Marine Plastics Project develops several low cost, open source, do-it-with-others (DIWO) technologies for observing ocean plastics designed specifically for the harsh weather and landscapes of Newfoundland. 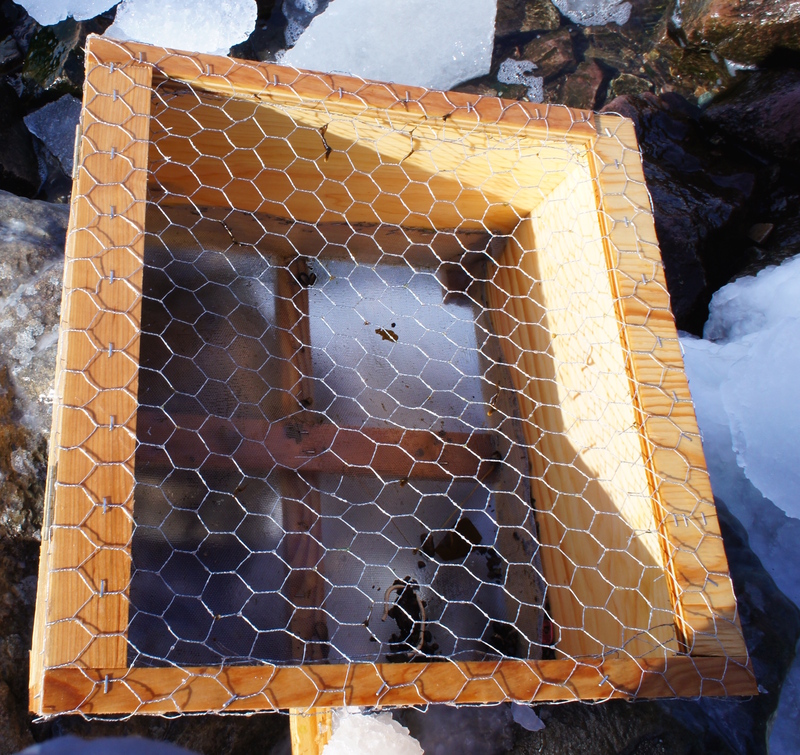 Even most accredited scientific protocols for monitoring marine plastics don’t work in the unusually icy, rocky, windy coasts of the province. The technology is built so that ordinary people who are concerned about their environments can build and use the technology. They are cheap, made with easily obtained materials, and the plans are posted online. Our technologies are in the prototype phase. If you are interested in building or testing these technologies, please let us know! 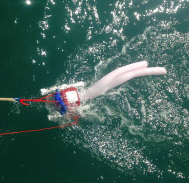 PED ROC: The PED ROC is designed to capture microplastics on rocky coastlines. .
#BabyLegs: This is a $12 version of the $3500 manta trawl designed to collect plastics from the surface of water using a variety of seafaring vessels. 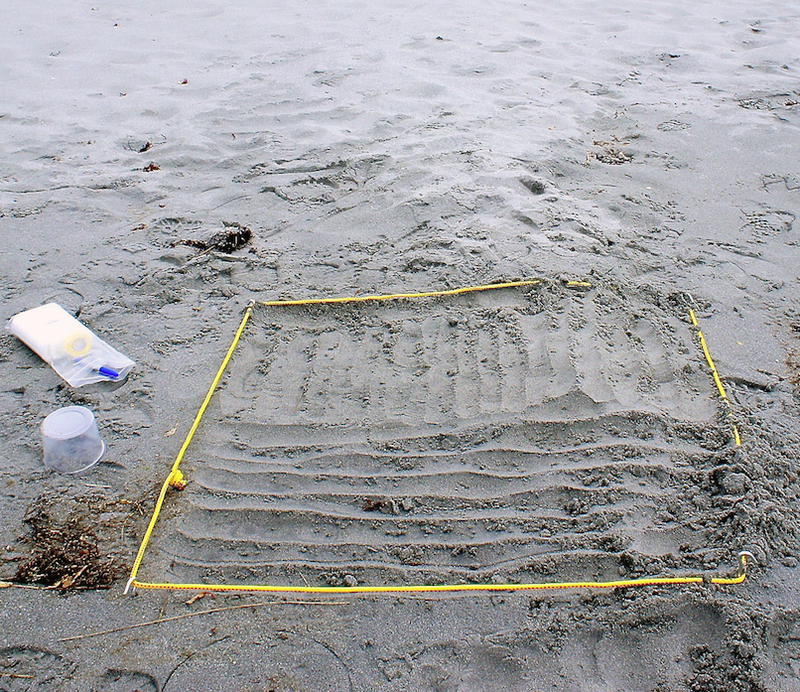 Beach Surveys: We have survey protocols for both macro (larger than 5mm) and micro (smaller than 5mm) plastics. Bergmann, M., Gutow, L., & Klages, M. (2015). Marine Anthropogenic Litter. Springer. This open-access text is the most comprehensive collection on marine plastics. Andrady, A.L., 2011. Microplastics in the marine environment. Marine Pollution Bulletin 62, 1596-1605. Cauwenberghe, L.V., Vanreusel, A., Mees, J., Janssen, C.R., 2013. Microplastic pollution in deep-sea sediments. Environmental Pollution 182, 495-499. Eriksen M., et al. (2014). Plastic pollution in the world’s oceans: More than 5 trillion plastic pieces weighing over 250,000 tons afloat at sea. PloS ONE 9(12). Eriksen, M., Mason, S., Wilson, S., Box. C., Zellers, A., Edwards, W., Farley, H., Amato, S., (2013). Microplastic pollution in the surface waters of the Laurentian Great Lakes. Marine Pollution Bulletin 77, 177-182. Fendall, L.S., Sewell, M.A., (2009). Contributing to marine pollution by washing your face: microplastics in facial cleansers. Marine Pollution Bulletin 58, 1225– 1228. Gregory, M.R., (2009). Environmental implications of plastic debris in marine settings–entanglement, ingestion, smothering, hangers-on, hitch-hiking and alien invasions. Phil. Trans. R. Soc. B. 364, 2013-2025. Hidalgo-Ruz, V., Gutow, L., Thompson, R. C., & Thiel, M. (2012). Microplastics in the marine environment: a review of the methods used for identification and quantification. Environmental science & technology, 46(6), 3060-3075. Mato, Y., Isobe, T., Takada, H., Kanehiro, H., Ohtake, C., Kaminuma, T., (2001). Plastic resin pellets as a transport medium for toxic chemicals in the marine environment. Environmental Science and Technology 35, 318–324. Rochman C, Browne M, Halpern B, Hentschel B, Hoh E, et al. (2013). Classify plastic waste as hazardous. Nature 494: 169–171. Rochman, C. M., Hoh, E., Kurobe, T., & Teh, S. J. (2013). Ingested plastic transfers hazardous chemicals to fish and induces hepatic stress. Scientific reports, 3. Teuten E, Saquing J, Knappe D, Barlaz M, Jonsson S, et al. (2009). Transport and release of chemicals from plastics to the environment and to wildlife. Philos Trans R Soc Lond B Biol Sci 364: 2027-2045. Plastics Europe (2012). Plastics—the Facts 2012: An analysis of European plastics production, demand and waste data for 2011. Zettler, E., Mincer, T., Amaral-Zettler, L., (2013). Life in the “Plastisphere”: Microbial communities on plastic marine debris. Environmental Science and Technology 47, 7137-7146.